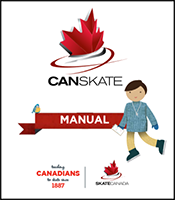 CanSkate is Skate Canada’s official “Learn to Skate” program. It is highly regarded by other ice sport organizations as the favoured curriculum to develop the skills needed to participate in their sports. It is also an excellent program to teach Canadians to skate for the joy of skating at any age or ability. Please note, this manual is undergoing a refresh. The refreshed version will be available in both printable and downloadable formats. 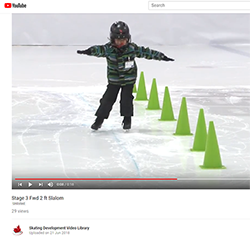 The CanSkate Skill Standards video playlist can be found on our YouTube Skating Development Video Library. The playlist include examples of every skill in the CanSkate program performed to the passing standard. This series of videos provides helpful clarifications and explores frequently asked questions. 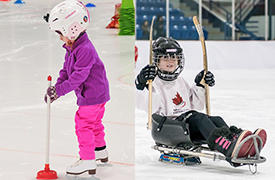 The delivery of the CanSkate or CanPowerSkate program can be modified to meet the needs of various participants. Programs may also share ice with other programs when appropriate. Examples of shared ice modifications can be found here as well. The Learn to Skate stage of development identifies the optimal performance opportunities for CanSkate skaters is at the club or skating school. 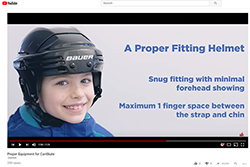 Canada Skates is a video series featuring a variety of topics related to the quality delivery of our programs. Canada Skates featuring CanSkate will give highlights, tips and strategies to coaches, program assistants and clubs or skating schools on how to maximize their program delivery. For purchase through our physical product store in the Membership Site (link below). Once accessed, select the CanSkate program from the drop-down menu. To further support the quality development of this program, visit our eLearning site to explore workshops, seminars and modules on CanSkate. Click on the course title below to go directly to that course. Listed below are the requirements and minimum delivery standards by which all Skate Canada clubs and skating schools must abide when offering the CanSkate program.The advanced delivery standards are optional. Ideally, sessions should not exceed 50-60 skaters. Clubs or Skating Schools who wish to offer programs with more than 60 skaters must receive permission from their section. 99% movement throughout the entire session. Note: skaters receiving individual attention do not affect movement percentage, if the rest of the group is moving. Teaching Aids Use of teaching aids at each station including marker/skill signs and pylons. Use of a variety of teaching aids that engages the skater's learning and interest. Use program assistants as required to meet minimum ratio. All program assistants on the ice must be in skates or a sled (sledge hockey PA). Program Assistant Training Ensure program assistants are trained before assisting on the ice with a minimum of one training per season. Offer multiple training sessions throughout the season to engage, support and monitor development of the program assistants. Use of full ice or Fast Track. A minimum of 30 mins lesson time. Rotation of three different learning or review stations. Use of circuits to teach and practice skills. A minimum 10 min. lesson to each group by a NCCP Skate Canada coach. Inclusion of the Fun Zone at one of the stations. May be grouped with a learning station. Use of circuits designed to fill 1/3 of ice, maximizing ice coverage. Each station has a designated coach that stays at that station to ensure all skaters who visit that station have the same quality instruction on the topic of the day. When two groups are sharing a station, inside and outside circuits are being used to maximize ice usage. Fun Zone included with a learning station in a creative and engaging way. 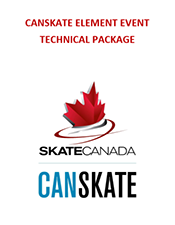 Must advertise and refer to the program as CanSkate and use the official CanSkate logo. All minimum standards plus use of Skate Canada CanSkate promotional tools, including marketing toolkit items. Offer a minimum of one parent information session. Offer off-ice class to CanSkate participants to increase physical literacy and help prepare the body for the on-ice demands.